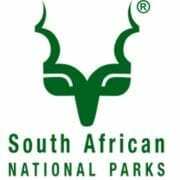 The first South African National Parks Week was hosted in 2006. Originally the initiative wanted to link the South African national parks system with the bigger global national movement. It creates awareness of the wide range of national parks in South Africa. 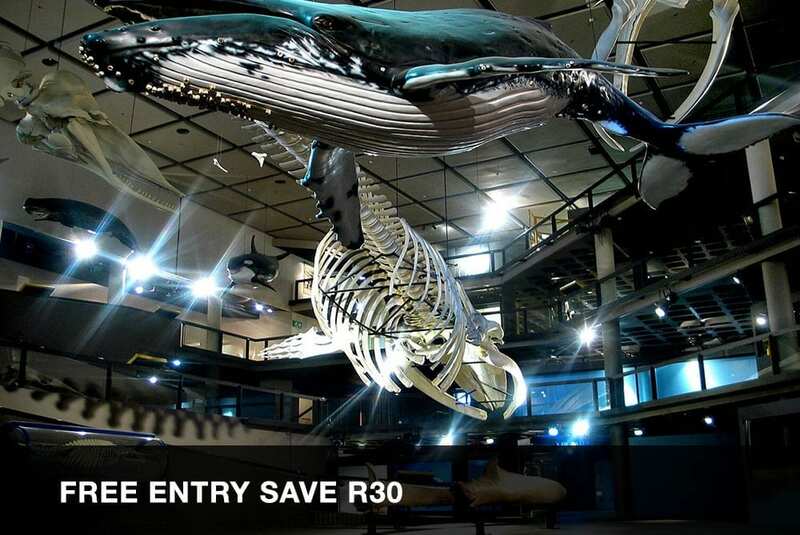 This year South African National Parks (SANParks) celebrate its 13th annual South African National Parks Week, hosted from 10 to 14 September 2018. 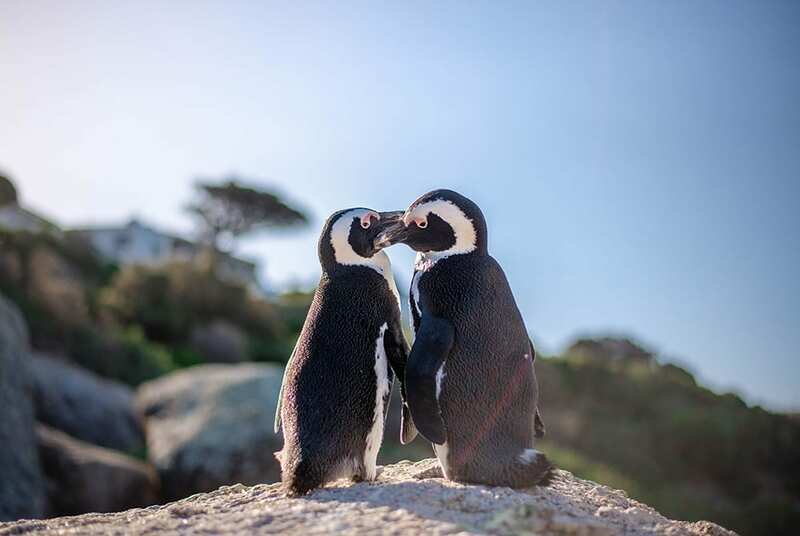 Total South Africa and FNB are official partners, helping SANParks achieve its vision to create a sustainable National Park System that connects society. During the week, 21 national parks offer free access to the day visitors, encouraging specifically the local communities to visit the parks. The free access does exclude access to accommodation facilities and other tourist activities. A few of the parks has decided to extend the free access to include the weekend. 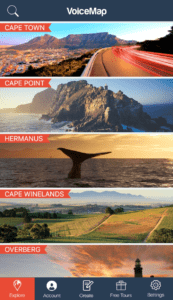 The following are the national parks with easy access from Cape Town, all with a two-hour drive from the city. This park is an open-access park, with no pay points. Activities include interpretation walks. A walk from the lighthouse to the Southernmost Tip. It’s a circular walk including a new stretch along the ridge above the Southern Tip, plus the Southern Tip Icon. The Soetendalsvlei Western Shore walk also includes birding opportunities. Click here for more information on the park. 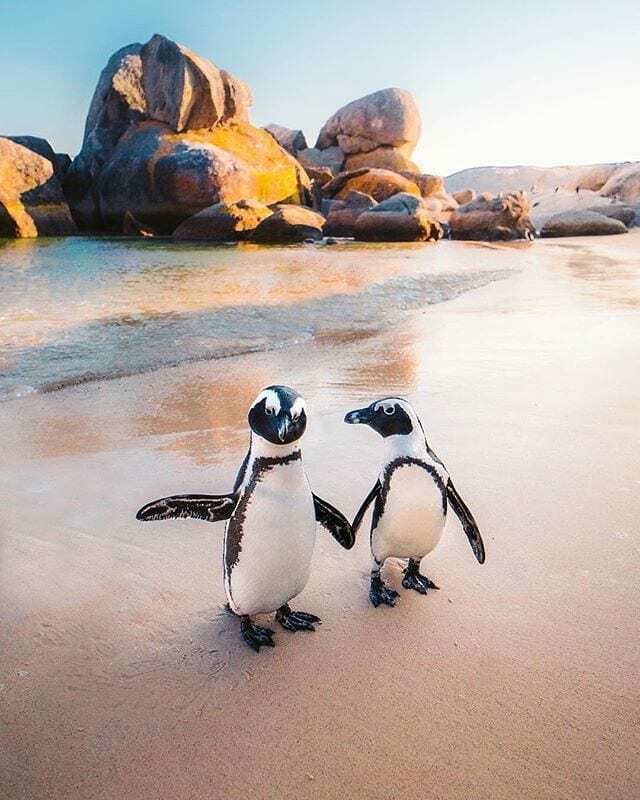 South African National Parks week excludes Boulders Beach, The Table Mountain Cableway and The Namaqualand National Park in the Western Cape. 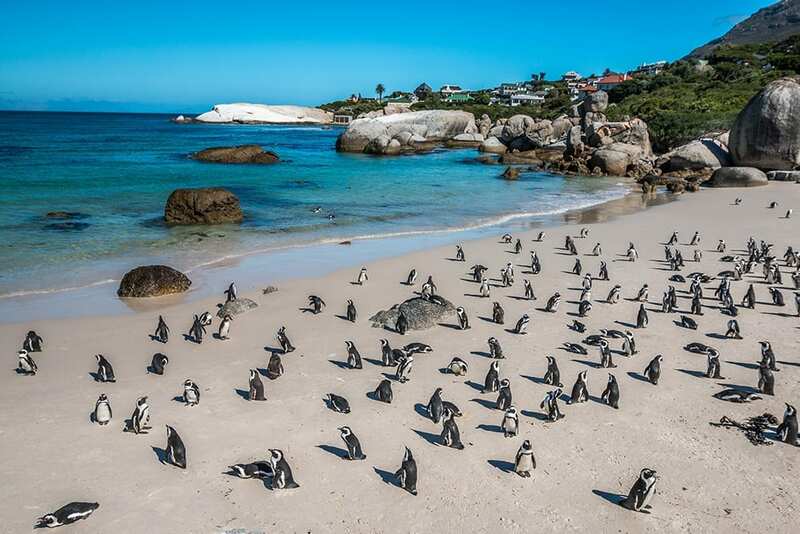 Cape Town is home to some of the most beautiful and world-famous beaches. Whether you’re looking for a place to swim, surf, or simply relax—Cape Town has it all. For those looking for a safe spot, tidal pools are rocky pools built along the coastline and regularly filled by the tides to provide a safe, family-friendly place to swim and play. There are 19 tidal pools to visit along the coastline of Cape Town, and we’ve listed them for you here. So load up the kids, pack some snacks, and check out one of these natural swimming pools. St. James Tidal Pool is considered Cape Town’s most well-known and iconic tidal pool, and is easily recognized with its colourful beach huts that sit near the water’s edge. Situated between Muizenberg and Kalk Bay in the seaside suburb of St. James, this pool is a great spot for kids to swim and families to hang out for the day. Located near a railway and main road, St. James is an easily accessible and popular spot to explore. Please note: There aren’t any food or drink amenities available on the beach, so be sure to pack a lunch and drinks for the day. The Milton Tidal Pool, a natural seawater tidal pool located in the heart of Milton Beach, is a safe and family-friendly place to swim. With easily accessible, shallow, cool waters this tidal pool is the perfect swimming spot for kids and families. Read more in our post about Milton Tidal Pool. 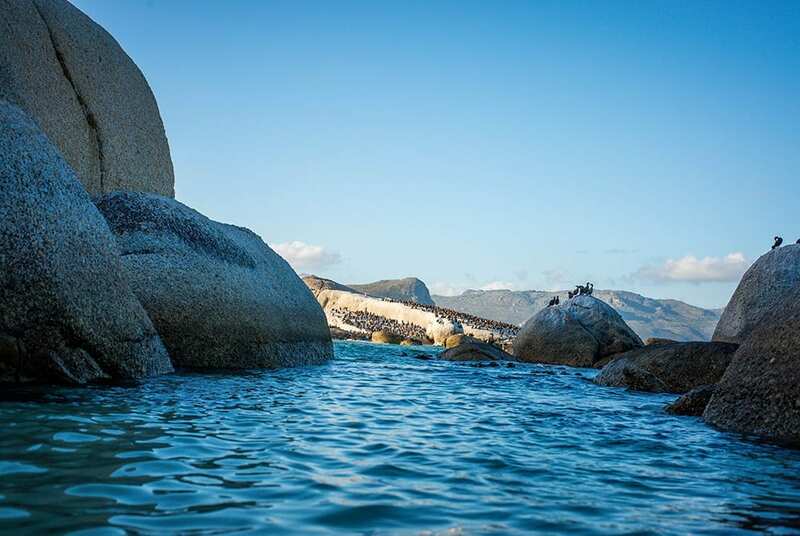 Loved by locals for its secret location, Miller’s Point Tidal Pool is about a 5-minute drive from Simon’s Town on the Southern side of the False Bay coastline. Located in Miller’s Point Bay, the tidal pool can be found in-between two boat launch sites. With incredible views across the bay, a water slide, changing rooms, and grassy spots perfect for a picnic – Miller’s Point Tidal Pool is the perfect, secluded spot for a relaxing day. Boasting some of the best pool-side views in the Cape, these two tidal pools provide a safe and clean environment to swim. The first pool can be found between Glen Beach and Camps Bay Beach; the second is located between Glen Beach and Clifton Beach. Located close to restaurants, bars, and cafes along Victoria Road, Maiden’s Cove Tidal Pools are a convenient and safe place to relax and swim for the day. Located on the Southern side of Glencairn Beach, this tidal pool is a family and dog friendly spot, perfect for safe swimming and sunbathing. 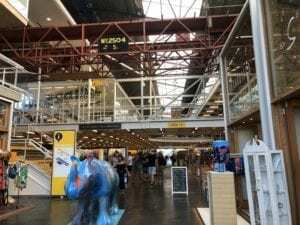 The beach is easy to spot from the train that runs between Simon’s Town and Cape Town city center and is a popular spot for swimmers, snorkelers, and sunbathers. Located opposite the Kalk Bay Community Centre between St James and Kalk Bay, Dalebrook Tidal Pool is one of the most beautiful spots along the coast. With a low wall, there’s a constant flow of fresh, new water. The secret and often overlooked spot is located near an outdoor shower and a changing room, making it a great stop for a swim. Enjoy the shallow, warm water during the day before the sun sets behind the mountains. 18 tidal pools in Cape Town and this one is my favorite! Located on Camps Bay beach, which is the most visited beach in the city, this tidal pool is easy to find and labelled as one of the most popular tidal pools along the Atlantic Seaboard. With many restaurants located nearby, this tidal pool is the perfect stop for a swim before grabbing a bite to eat. Although the waters are a bit chilly, the beautiful views of the Twelve Apostles are well worth it. Making a trip to Cape Point Nature Reserve? Pack a swimsuit and visit the relatively sheltered and crowd-free Buffel’s Bay Tidal Pool. Take in the breathtaking white sand and abundant flora and fauna as you relax by the clear blue waters. 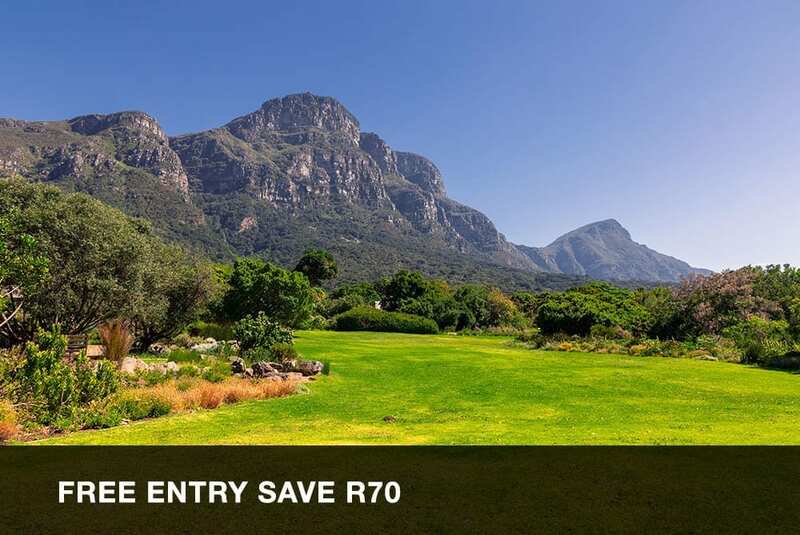 The spot is perfect for picnics and braais, with safe waters for a post-hike swim. 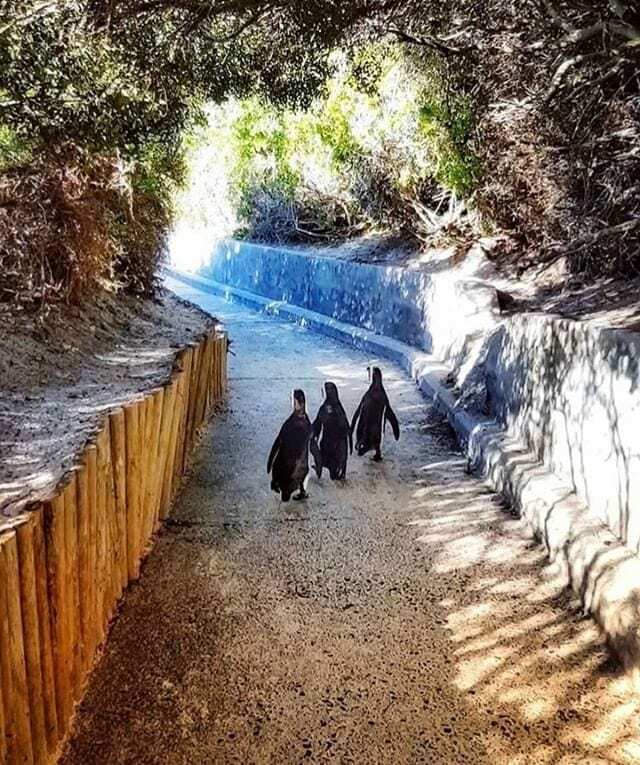 You’ll have to pay the Cape Point Nature Reserve entrance fee of R145 for adults and R75 for children to enjoy this spot. This tidal pool can be found South of Kommetjie, next to a braai and picnic area that forms part of the Soetwater recreation area. Located just across the iconic Slangkop Lighthouse, it is a quiet spot to swim. Due to the vibrant animal life that surrounds this spot, it was named a conservancy in 2009. You might be able to spot the endangered African Black Oystercatcher. After swimming, you can go fishing in one of the various famous fishing spots located just next to the tidal pool. Shelley Point Tidal Pool is a small, quiet pool great for a quick swim. The pool is also a popular spot for whale watching. Sparks Tidal Pool is in Gordon’s Bay near Spark’s Bay Beach. 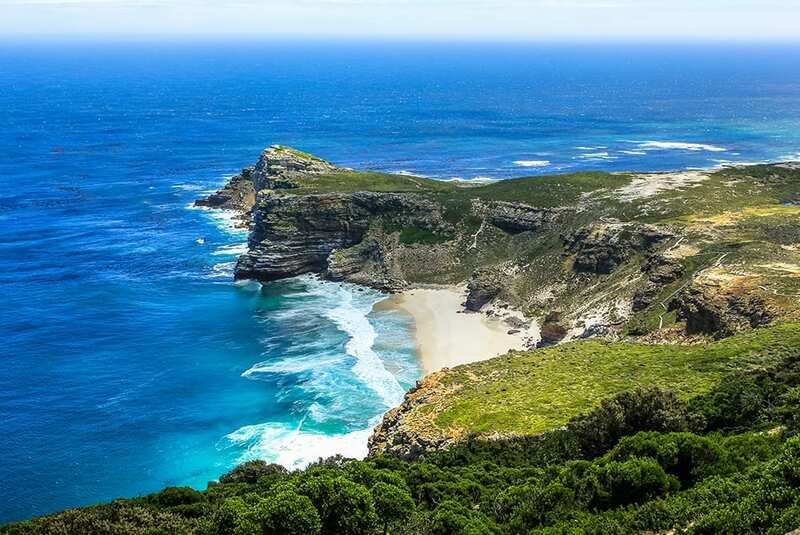 It is one of the best and most tranquil braai and whale watching spots in the country, as named by the City of Cape Town. 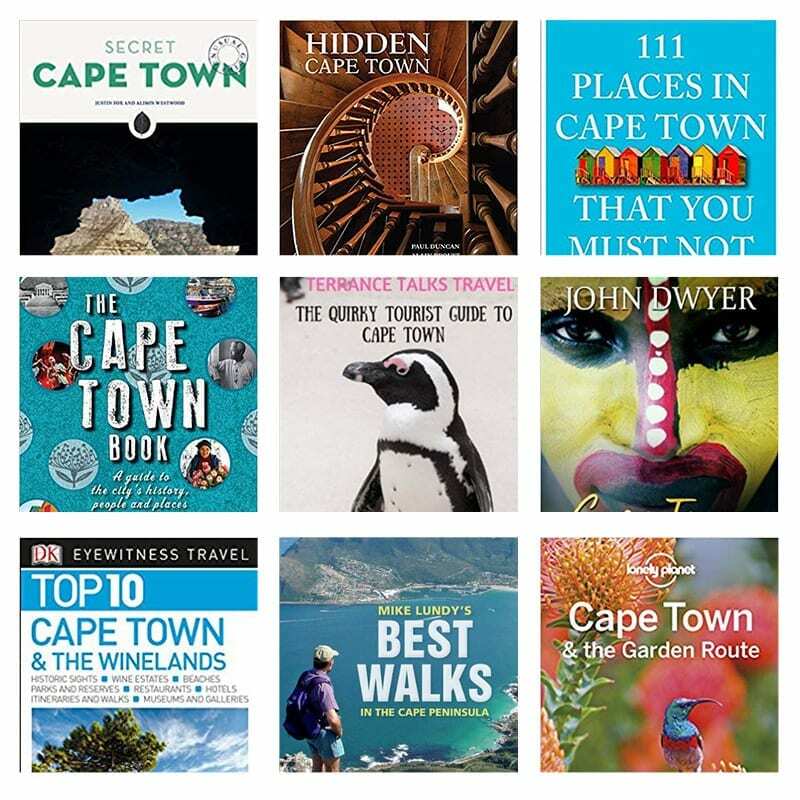 Make a little mini road trip out of Cape Town to enjoy this great little town. Visit gordonsbaytourism.com to find out more about this little seaside village, just over an hour drive from the city. This tidal pool is located in Kommetjie, a popular destination for kite-surfers and campers, and lies on the edge of the catwalk along the Kom, within sight of the famous Slangkop lighthouse. The area is known as “De Kom,” which is Dutch for “bowl.” With concrete steps and a handrail, it’s an easy descent into the pool’s cool waters. Grassy areas are nearby shaded by milkwood trees, making it the perfect spot for picnics. Keep an eye out for the vibrant pink flamingos that frequent the spot, earning it the name Bird Island. Located on the rocky Saunders Beach, this tidal pool is situated between Clifton and Sea Point in the suburb of Bantry Bay. With white sand and blue waters, this beautiful spot is perfect for an afternoon swim. While the pool is a popular swimming destination on the weekends and holidays, it remains fairly empty during the week. So, put on a swimsuit, grab a towel, and head out for a swim at Saunders Tidal Pool. Afterwards, you can grab something to eat at one of the many restaurants located along the beach. Want to take a day trip up the West Coast? Enjoy a getaway and visit the Silwerstroom tidal pool. Located near the Silwerstroom Resort, this pool is a great spot to swim, braai, and relax. Its gradual slope makes the pool a great safe spot for kids. With a thriving plant life and the blue outstretched ocean, this tidal pool has beautiful views you won’t want to miss. Looking for a safe place to swim with spectacular views of Fish Hoek? Wooley’s Tidal Pool is the perfect spot. Located between Kalk Bay and Clovelly in the bend of the coastal road and a few steps off the ocean road, Wooley’s is divided into two pools. One is a small, splash pool great for the little ones. A bit further is a deeper pool, perfect for a relaxing swim. Want to swim in the largest tidal pool in the Southern Hemisphere? 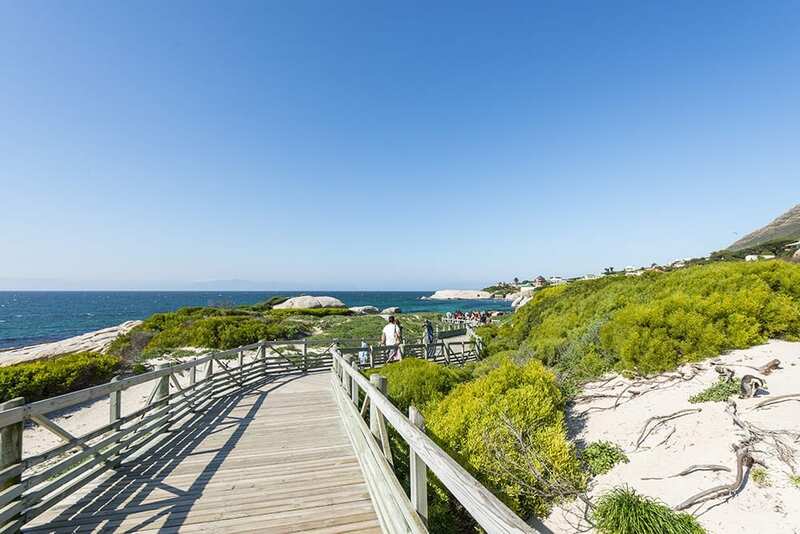 Pack a picnic and head to the Monwabisi Tidal Pool. Located along an exposed stretch of False Bay, just off Baden Powell Drive in Khayelitsha on the Cape Flats, the tidal pool is the perfect spot to enjoy the sun, sea, and sand. Want to let the kids swim after eating? This tidal pool is located right next to the Brass Bell Restaurant, making it an ideal spot for good food and fun. There are two separate tidal pools; one is shallow and perfect for splashing around while the other is deeper and best for swimming. Located in the seaside town of Strand, this tidal pool is a great spot for kids and families of all ages. With lifeguards on duty throughout the day, it’s a safe place to have some fun. You can even spot small marine life in the pool, and a kiosk is nearby where you can buy snacks and drinks. Sure, a visit to Cape Town is not complete without going up Table Mountain. 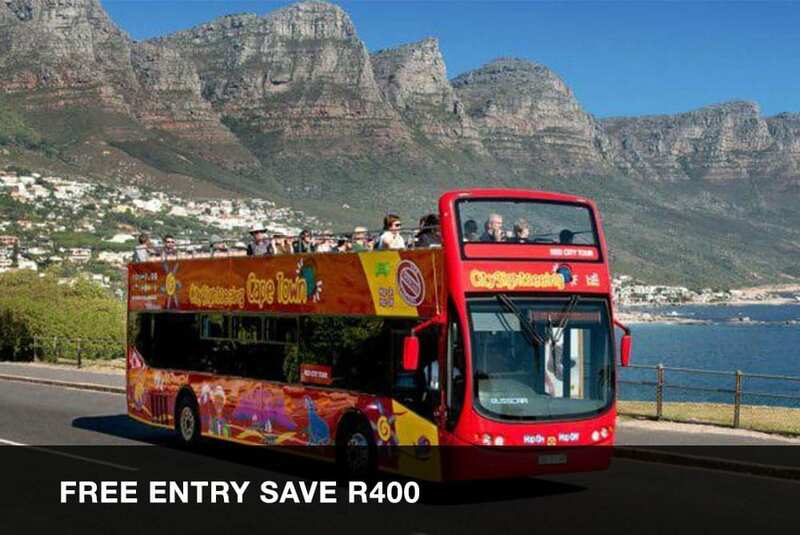 And there are many other must-see tourist spots to visit such as Robben Island, the V&A Waterfront, and Kalkbay. But if you want to really soak up Cape Town like a local, you need to go off the beaten track. Cape Town is home to some of the most beautiful and unique views in the world. And many of them are hiding in unique locations. We’ll let you in on the secret! The oldest wine-producing vine in the Southern Hemisphere and the oldest vine in South Africa, the Heritage Vine is considered something of a miracle. It is one of the few remaining original French vinifera rootstock still alive. 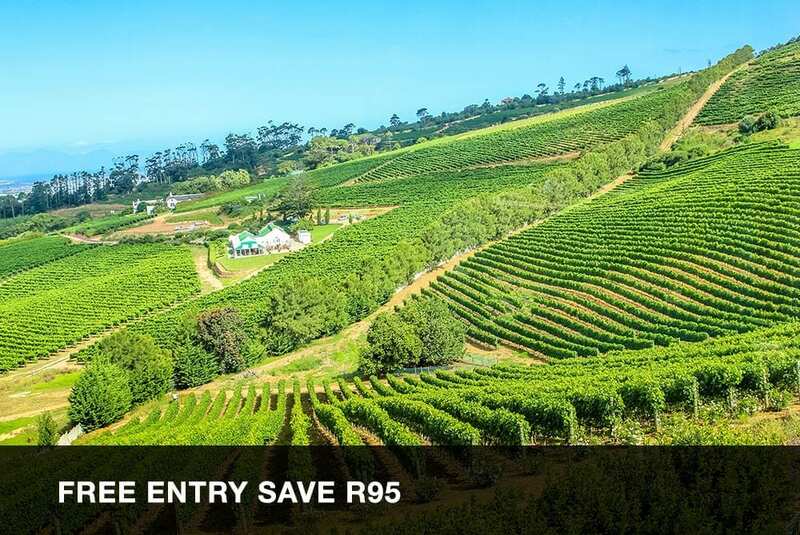 Estimated to have been planted in 1771, the vines roots trace back to the burghers of Cape Town, who planted vines in their gardens to make their own wine. The vine has continued to thrive despite the Phylloxera epidemic that spread to Cape Town in 1866 and the car park project that left the Heritage Square abandoned for over a decade. The vine survived on rainwater alone until the Cape Town Heritage Trust took over the square in hopes of renovating and returning it to its natural beauty. Now, the Heritage Vine still thrives and produces a few litres of wine every year. This powerful piece of art-work created by mosaic artists Lovell Friedman and Leora Lewis memorializes the 7,000 children that were advertised as destitute in the Cape Government Gazettebetween 1841 and 1921. These children, some as young as eight-years-old, were often found roaming the streets of Cape Town. If no one came forward to claim or support them after the ad was run, they were sold as indentured labourers. Copies of these advertisements form the image of a child, who is surrounded by drawings and written work by current street kids. Situated just outside the Cape Town Central Library, the We Are Still Here Memorial is a compelling must-see when visiting Cape Town. The Unbuntu and other trees originally marked the border of a dam that held waters from Camissa, water that ran from the mountain, and people from near and far would gather to collect the fresh water. The tree is in the courtyard of what is now a health and wellness centre, still providing a place to receive, refresh, and inspire people. 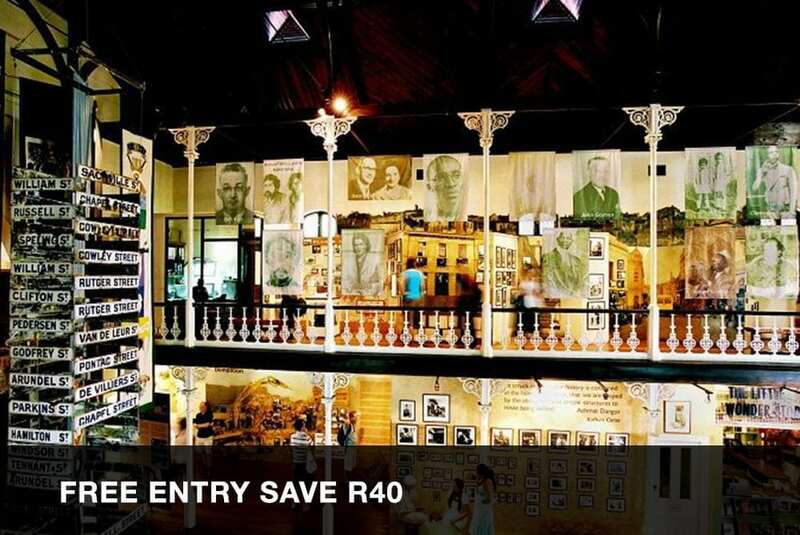 Located in the South African Jewish Museum, a small room houses over 200 carvings created from wood, ivory, staghorn and bone. These miniature sculptures, called Netsuke, are ceremonial carvings that were worn by wealthy male merchants during the time of the Samurai. These netsukes were both functional, as they held containers for tobacco, money and other objects, and decorational as a form of expression of the artist with elaborate decorations, lacquer, and exotic materials such as ivory. Subjects for the work included history, mythology, religion, popular humour, and any other aspect of Japanese life. With their intricate, life-like features, these sculptures quickly became small works of art. One of the founders of the South African Jewish Museum, Isaac Kaplan, developed a passion for netsuke after being introduced to Japanese okimono, or ornamental art, by a friend who visited Japan in the 1930’s. Although he never visited Japan himself, Kaplan acquired over 600 of these carvings through trading houses and auctions. The exhibit showcases over 200 of these sculptures and includes specific details and background information for all artwork on display. Looking for a small, secluded, quite beach? With exceptional views of the Twelve Apostles and Lion’s Head, Beta Beach is the perfect spot. 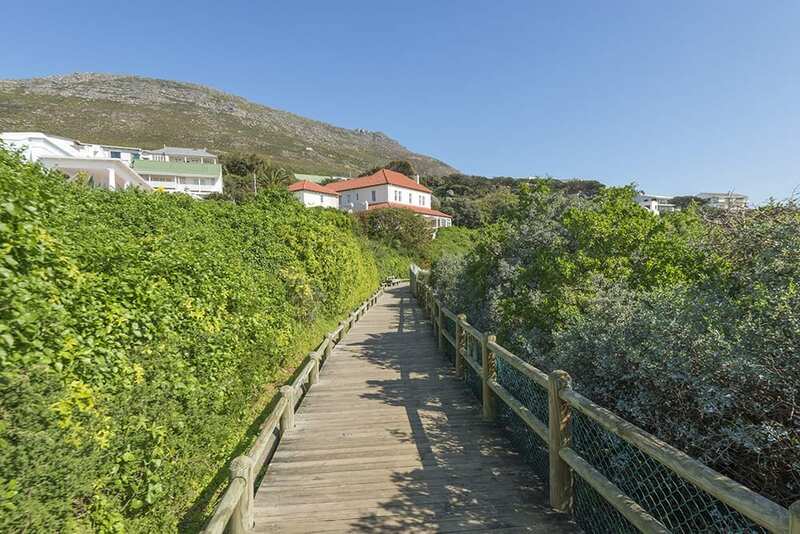 Located in the heart of the Atlantic Seaboard’s Bakoven and next door to Oudekraal beach, this spot has a short bright, white, sandy stretch and big boulders to keep the wind away while you read the paper or soak up the sun. Although Beta is surrounded by several residences and thought to be private, this small beach is open to anyone. Beta Beach is the perfect, quiet, secret spot for safe swimming and beautiful sunsets. St. George’s Cathedral, also known as the Greek Orthodox Cathedral of St George, was built in 1904 for the Greek community of Cape Town. Byzantine-style frescoes decorate the vaults, walls, and apse with depictions of Jesus and various other saints and icons. This artwork, painted by the Romanian priest and hagiographer Father Nikolai during the 1990’s, is nothing short of beautiful. The domed ceilings are painted light blue and dotted with stars, and when the light shines in through the stained glass windows, it is as if you are transported east to the shining Mediterranean. In 1968, St. George’s was accorded cathedral status and became the seat of the Orthodox Archbishopric of Good Hope, Patriarch of Alexandria and All Africa. The archdiocese presides over the Western, Northern and Eastern Cape provinces, the Orange Free State, KwaZulu-Natal, Namibia, Lesotho and Swaziland. Hidden in a little spot in Woodstock, perched almost atop the hill on Mountain Road, St. George’s is a beautiful, hidden landmark. It is one of the rarest and most highly prized plants in the world, and can be found in the Cycad dell at Kirstenbosch National Botanical Gardens. John Medley Wood discovered the plant in the oNgoye Forest in KwaZulu-Natal, where it was later identified as a new species and named after him in 1908. When Wood discovered the plant, it was part of a clump made up of four trunks. Deputy James Wylie, sent by Wood in 1907, returned to the forest to collect two of the larger trunks, which still grow in the Durban Botanical Gardens. 5 years later, an excursion through the forest resulted in finding only one three-meter tall trunk left in the wild, which died in 1964. Searches through the oNgoye Forest have resulted in no other plants being found. Due to this, the Wood’s Cycad is considered to be extinct in the wild. Located on the lower slopes and above the stream, with its large, intertwining branches growing in all directions—lies a section of the Van Riebeeck’s Hedge. Van Riebeeck’s Hedge, a series of indigenous wild almond trees, was planted in 1660 by the governor of the Cape to define a boundary between the Dutch and the Khoi-Khoi. The goal was to create a barrier that would prevent any livestock, or people, from getting through. The plant quickly expanded and soon became a hindrance as some of the best land for livestock developed on the other side of the hedge. For many, this separation symbolized the start of apartheid—white South Africa cut itself off from the rest of Africa, dispossessed the indigenous people of their land, and kept the best of the resources for itself. Two sections of the hedge remain today, with one in the Kirstenbosch Botanical Gardens and the other located in Bishops Court. Looking for a place to bike or hike surrounded by beautiful animal and plant life? The Koeberg Nature Reserve is home to a thriving animal life with over 153 species of birds, including Ostrich and the African Fish Eagle. Although it is located around the Koeberg Nuclear Power Station, the Reserve was opened to the public in 1991 to stay in line with Eskom’s environmental policy. There are several biking routes to follow. These routes are perfect for families and beginners with a flat terrain and less than 50 meters of climbing. Not into biking? The Reserve also has two different hiking trails—the Dikkop Trail, which is a 13-kilometer loop with two kilometers on the beach, and the Grysbok Trail which is a 6-kilometer, 2-hour walk. Whichever path you choose, keep an eye out for the Eland, Zebras, Angulated Tortoise, or even the Cape Cobra you might see along the way. These striking rocks are considered a ‘geological wonder.’ They represent an impressive ‘contact’ from about 540 million years ago between granite and the sedimentary rock that forms Signal Hill. Although the honour of discovery lies with Clark Abel who discovered them in 1818, the rocks are named after Charles Darwin who visited them on his world-wide journey in 1836. Darwin was intrigued by what he saw and decided to stay at the Cape of Good Hope, which was the second-longest of all his stops during his five-year voyage. His later accounts of the rocks at Sea Point, which he called “Green Point,” resulted from 8 years of writing and correspondence after he returned to England. Today, there is a plaque located in the parking lot that commemorates Darwin’s observations. Now the official home of South Africa’s president, the Groote Schuur Residence is a fascinating house steeped in history with a beautiful view, set against the slopes of Table Mountain. While arranging a visit requires a tour scheduled in advance and a form of identification, it is definitely worth the time and effort. Cecil John Rhodes, who became Prime Minister of the Cape Colony in 1890, was the first to rent the property and bought it in 1893. He then hired Herbert Baker, a British architect visiting Cape Town, to renovate the building. The style he created became known as the ‘Cape Dutch Revival Style.’ After a fire in December of 1896, Baker and Rhodes reconstructed and modernized the building using handmade ironmongery and antique Dutch and Spanish tiles, bricks and lanterns. Rhodes released his estate to the nation, and it was used as the official Cape residence of South Africa’s prime ministers and presidents from 1911 to 1994. In 1990 FW de Klerk and Nelson Mandela signed the ‘Groote Schuur Minute’, an historic commitment to peaceful negotiations. Located on the Eastern seaboard of the Cape Point Nature Reserve, a black-painted, 4-pound, Dutch cannon stands on top of Paulsberg. 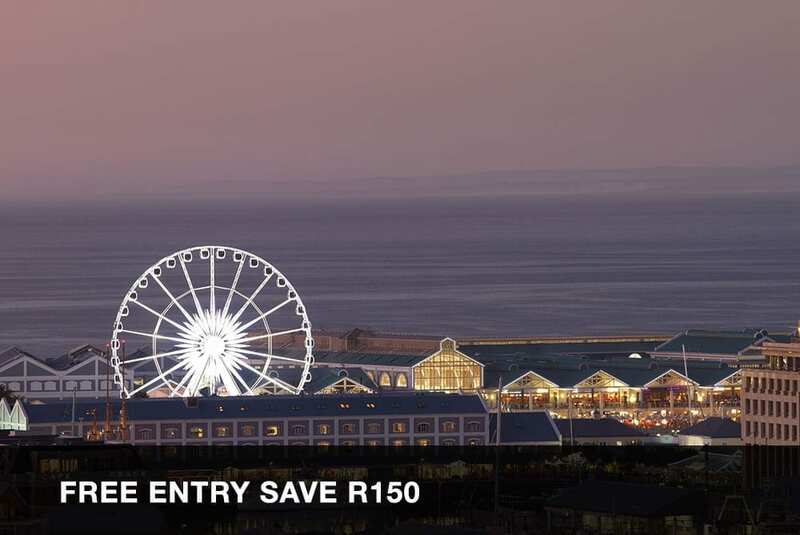 It offers you beautiful, uninterrupted views of the Atlantic Ocean, False Bay, and Cape Point. The cannon was once a signal cannon, created by the Dutch to warn people if an enemy ship entered False Bay and posed a threat to anchorage. 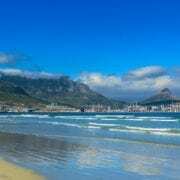 Cape Town boasts with ten Blue Flag beaches. But there are also other hidden gems that you can visit if you are in the mood for a quieter beach outing. We’ve searched high and low to find you a few for you. Some are located within the city borders, others a short drive out of the city. There are a few secret beach spots hidden in the reserve. This one, translated as Flat Tree, is by far the most unspoilt option. You can access it just past Dias Cross or from the North-South side near Gifkommetjie. You might even spot an ostrich or baboon in the lush vegetation hugging the side of the beach. It’s definitely a unique beach outing. 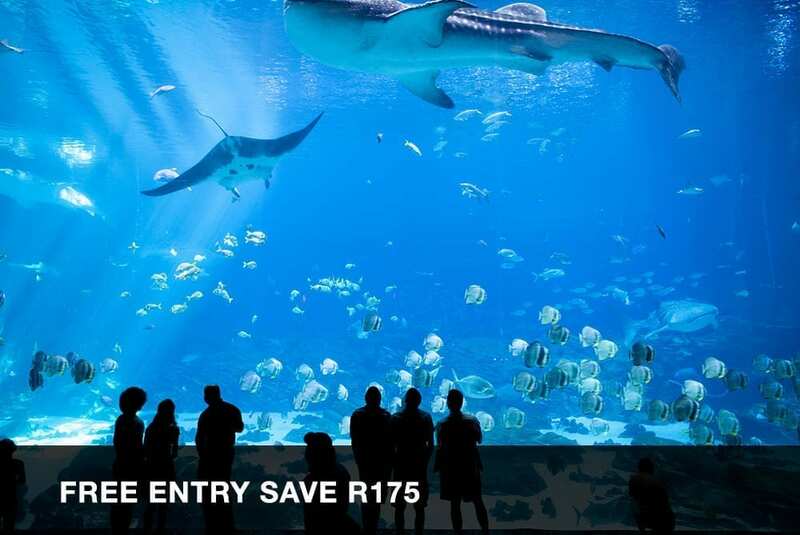 Entrance fees to the reserve are R145 for adults and R75 for children. But it’s worth it. You can do some wildlife spotting as you drive through the reserve before heading to the beach. The outstretched coastline with chalk-white sand offers you the opportunity to indulge in an undisturbed long stroll. It’s also perfect for kite- and windsurfing. Swimming is at own risk, not recommended because it’s so secluded. It’s ideal for birdwatching, picnicking and provides epic photography opportunities. 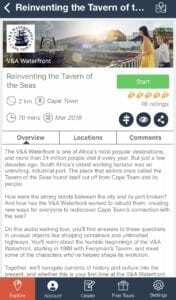 Visit the Cape Point Nature Reserve website for more information. Another one of Cape Point’s great beaches. It’s a bit more popular than Platboom, but you still only have to contend with visitors to the reserve. It is definitely one of the most beautiful Capetonian beaches. Getting to this secluded spot is a bit of a challenge. From the parking lot, it’s a 20-minute walk down quite steep wooden stairs. But the views are worth the trouble. The towering cliffs behind the beach creates a stunningly dramatic effect. Surfers enjoy the hollow barrels, but swimming is risky with strong currents to contend with. Location: West Coast National Park, between Yzerfontein and Langebaan. Translated as the Preacher’s Pulpit. The name comes from a rock formation jutting out of the sand near the water edge. It creates a bit of shelter while you relax in the shallows next to it. It’s a short drive along the West Coast road, perfect for a weekend outing. The beach offers you a 25km stretch of rugged coastline, situated close to the Langebaan Lagoon. The West Coast offers you a completely different experience compared to the more “commercial” city beaches such as Camps Bay. Its calm waters make it a perfect spot for snorkelling, fishing, and swimming. You can also braai at the picnic area next to the lagoon. And look out for the rusted shipwreck. Entrance fee to the park depends on the season. It is R54 to R76 for adults, and R27 to R38 for children. Visit the West Coast National Park website for more information. Location: Between Seaforth and Boulders Beach, Simon’s Town. Depending on where you stay in the city, this can also count as a mini road trip. It’s a secret spot all the locals know about, a bit off the beaten track. It is situated at the end of a little paved pathway. Park at Seaforth Beach and continue walking till you’ve passed the Seaforth Restaurant. Even though Simon’s Town is one of the most popular seaside spots in Cape Town, this secluded bay with beautiful views is never as packed as the other Simon’s Town beaches. Nestled between the popular Seaforth and Boulders Beaches, this one remains a bit more undiscovered by the masses. It’s a great family-friendly option. Keep the kids busy for ours hunting for starfish in the rockpools. On the side of the beach you can also set up for the day under the trees or relax on the granite boulders. 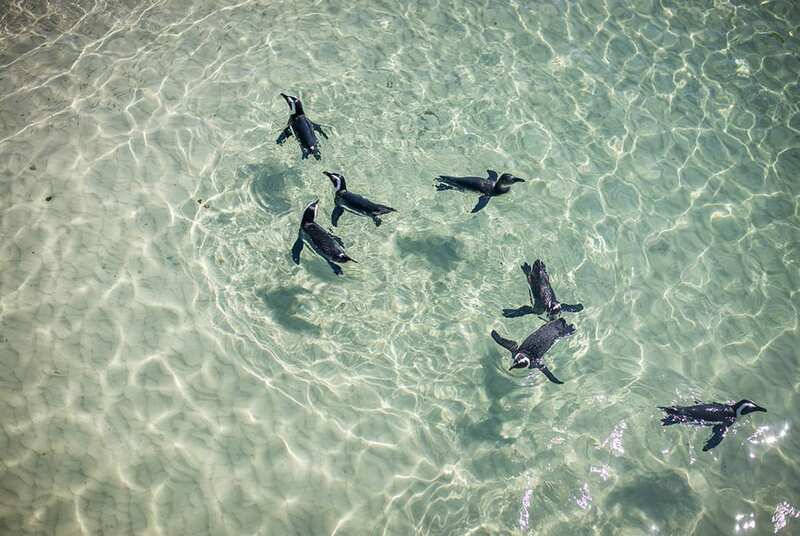 If you’re lucky, you might see penguins too. Perfect for swimming, snorkelling, diving, and picnicking. Location: Simon’s Town, access via Bellevue Road. Another quieter spot in Simon’s Town. 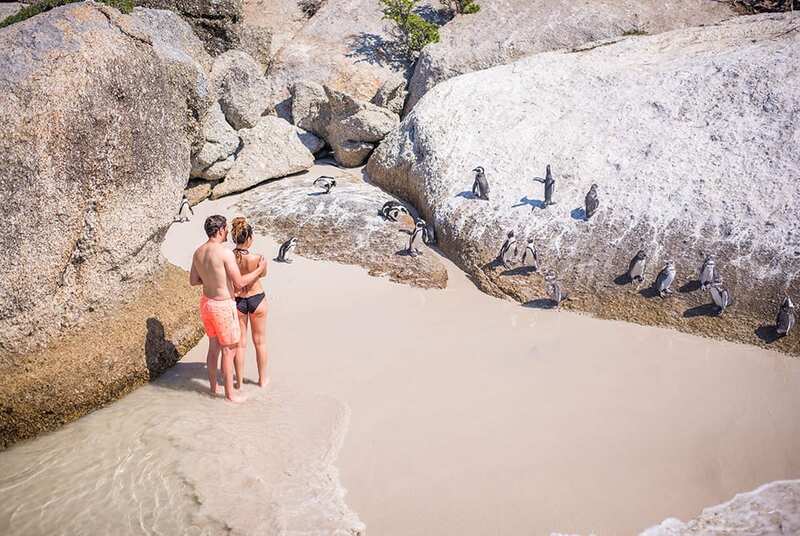 It is similar to Boulders Beach, but more hidden. 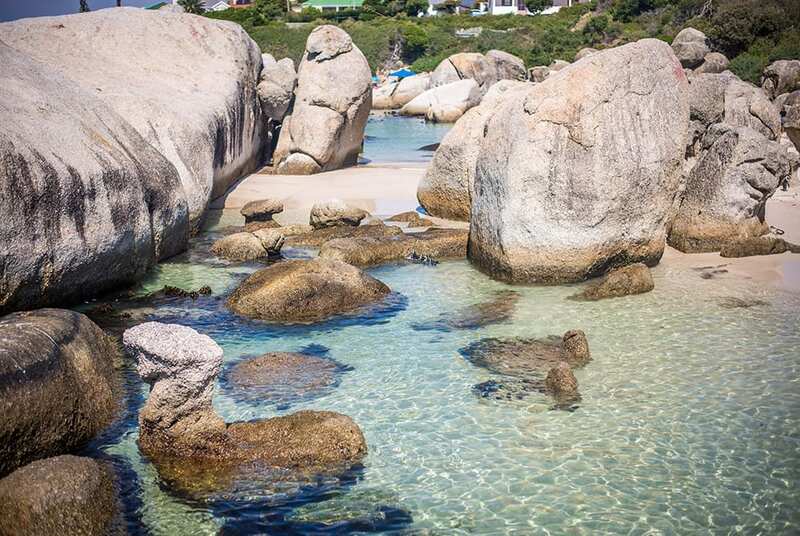 The granite boulders surrounding the beach creates a great sheltered swimming area. You can park at Links Crescent, the first right passing the golf course. The rock pools team with fascinating sea life. 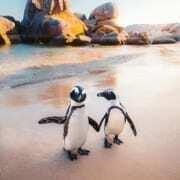 And it’s close to the penguin colony, who sometimes visit the beach. 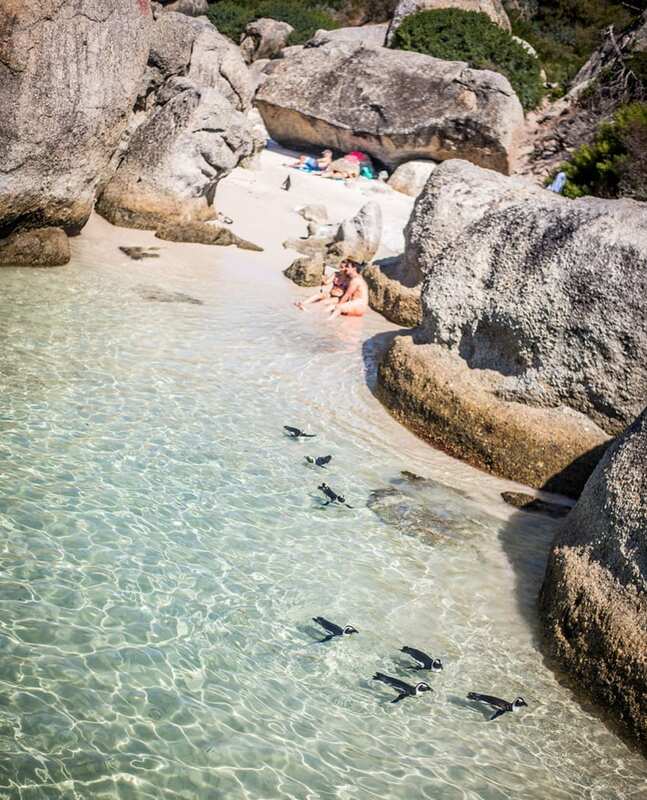 The shallow water, sheltered by the boulders, creates a lovely safe kids-friendly swimming area. Also perfect for snorkelling, swimming, and picnicking. Plus, it is a dog-friendly beach. Caution must be taken when swimming because there are no shark spotters or lifeguards on duty. Perfect for long walks along the crashing waves, ending in picture-perfect sunsets. Keep your phone ready for a postcard moment, with Table Mountain being painted shades of red and pink by the setting sun. If you want something a bit different than Bloubergstrand or little bit closer to the city than Melkbosstrand, this one is a winner. The beach was rewarded the status of third best windsurfing option in the world, at the top with Hawaii and New Zealand. 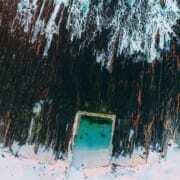 You can swim here, sunbathe, picnic and bodyboard. Ideal secret spot, it’s never as crowded as the other beaches on this Atlantic Ocean stretch. Another fun option for a small road trip. It’s situated between Noordhoek and Kommetjie. A lovely peaceful spot frequented only by a few surfers. A dog-friendly beach, so you can go for a long stroll with your four-footed friend. But you need a Level 1 My Activity Permit (R270), as the beach is part of the Table Mountain National Park. The unspoiled beach and beautiful ocean views will whisk you away for a moment to an idyllic location. Take note, the wind gets really strong here. Great for flying a kite and windsurfing, not ideal for a picnic. Also, rather just dip your toe in the ocean and resist the urge to swim, the area has lots of strong rip currents. It is better to visit with a group of friends, as there are safety issues in the area. On the 2nd of December 2012, Table Mountain was declared one of the new Seven Wonders of Nature. Looking up at the magnificent mountain, it’s not hard to see why it was included. There are some brave people who ascend the mountain on foot, but if you’re not quite as enthusiastic about hiking, you can take the cable car. 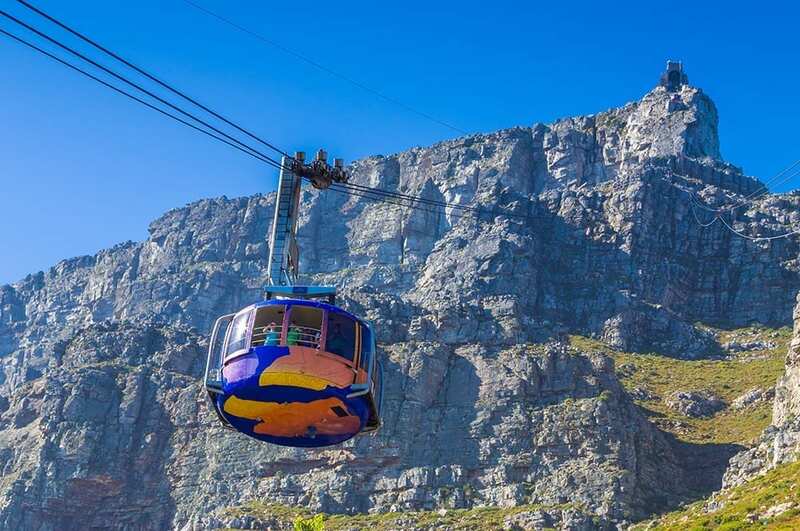 The Table Mountain Aerial Cableway Company has been operating since October 4, 1929. 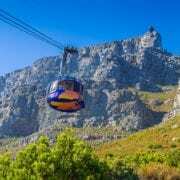 The cableway travels 704m, from the bottom station at 363m above sea level to the top station at 1 067m above sea level. 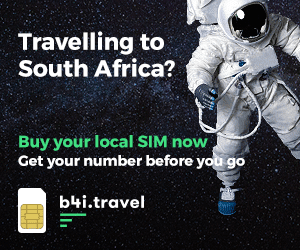 This excludes 15 December 2017 to 15 January 2018. The cable car always operates weather permitting. Please note: The Cableway is closed each year from 23 July to 5 August for annual maintenance. The idea for a rack railway to the top was suggested in the late 1870’s. Planning was started but the Anglo-Boer War in 1880 halted the process. 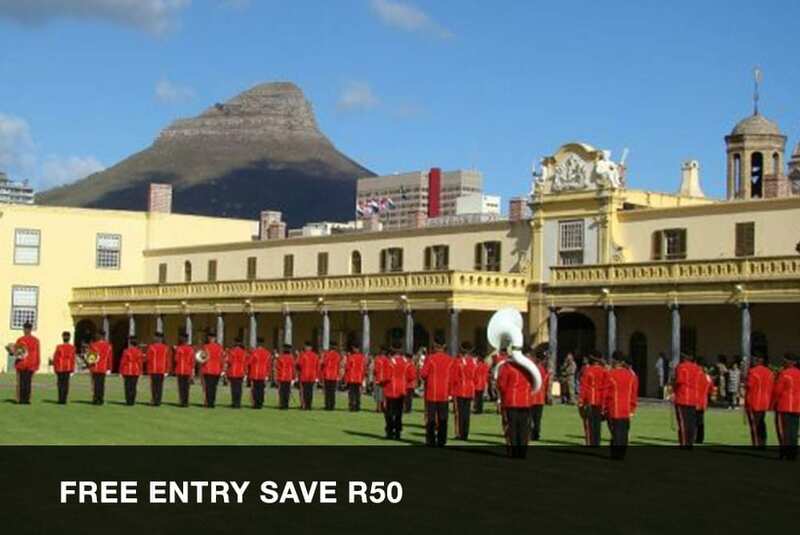 HM Peter, an engineer, was officially commissioned in 1912 by the Cape Town City Council. He started investigating options and it was decided that a funicular railway from Oranjezicht through Platteklip Gorge would be best. 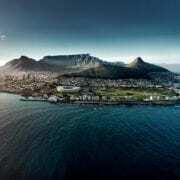 Cape Town’s residents excitedly voted for the project to commence, even though the budget was a whopping £100 000. Remember, this was the early 1900’s, so that was a lot of money! But before the fancy funicular could be built, another war interrupted, the First World War. In 1926 A Norwegian engineer, Trygve Stromsoe, suggested to rather build a cableway. A group of influential businessmen were intrigued by his idea. Trygve had showed Sir Alfred Hennessy a model of his idea. Hennessy approached two other investors, Sir Ernest Oppenheimer and Sir David Graaff, and they formed The Table Mountain Aerial Cableway Company (TMACC). Stromsoe took the fourth seat on the board of directors. Construction of the cableway took two years of hard and dangerous work. The official opening of the cableway was a historic moment in 1929 – during the entire construction process there was no accidents. As technology progressed over the years, the cableway was kept up to speed. Upgrades occurred in 1958, 1974, and 1997. The last one was the most exciting, with the introduction of Rotairs. 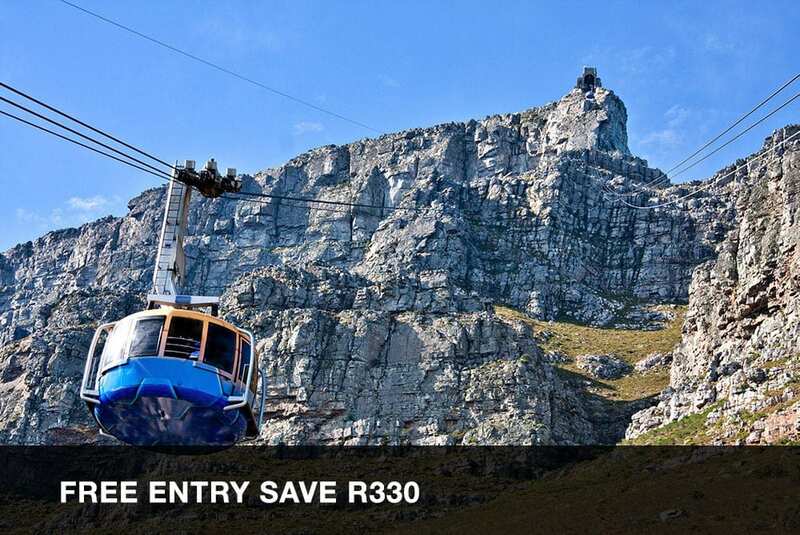 These nifty cable cars offer an amazing 360ᴼ view with special revolving floors. 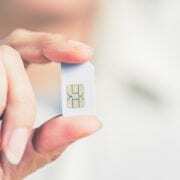 The system is also used in the United States at Palm Springs and at the Titlis in Switzerland. You can take home a souvenir of the wonderful moment on the mountain. The shops sell a wide variety of products including gifts and clothing. And over 95% of the merchandise is sourced from proudly South African suppliers. The products range from little budget goodies, to more exclusive luxury items. You can also purchase a photo of your moment on the magnificent mountain. This is the main store. The building housing the souvenirs, is a National Heritage site. It is situated next to the Table Mountain Café. You can buy a year pass to enjoy the mountain whenever you feel like a change of scenery. The café has a Wi-Fi lounge, perfect for a unique out of the office work day. Another little nook of great Table Mountain goodies. As you exit the cable car in the Upper Cable Station, turn to your left. Both shops at the top are open the whole day for trading. In case you impulsively decide you do need a souvenir, there’s one more last-minute purchase shop. As you exit the cable car in the Lower Cable Station, you will find the shop as you head towards your car. The shop opens a bit later than the other two at the top but stays open till end of day. Another fun thing to do, is to send someone a postcard from the top of Table Mountain. Grab your stamp and postcard at the visitor centre before you ascend the mountain. Once you’ve reached the summit, look out for the red post box. It will definitely be a unique letter, it is franked with a special Table Mountain stamp. 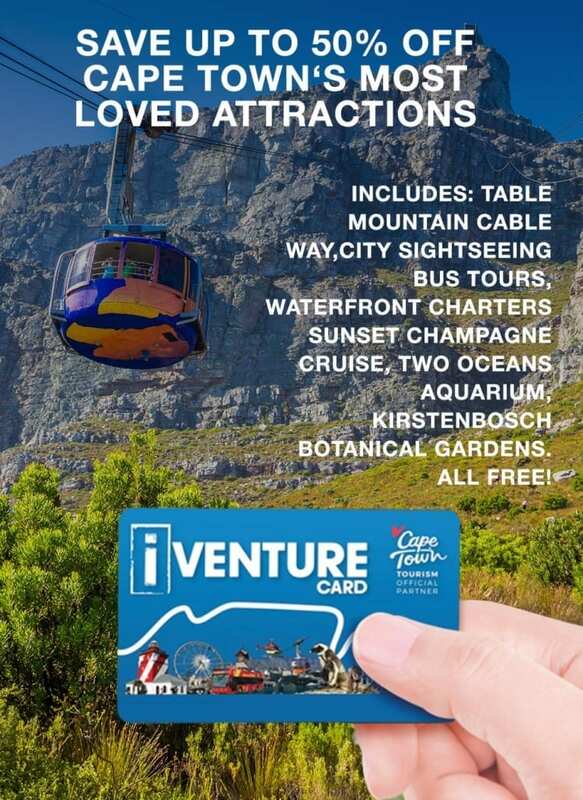 Follow the Table Mountain Aerial Cableway Facebook page for upcoming specials. Between Table Mountain and Signal Hill is a mountain which resembles a proud lion overlooking the city of Cape Town. 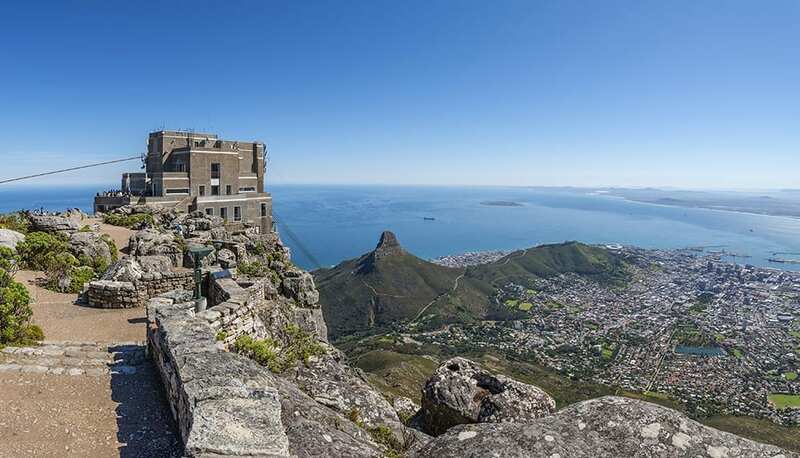 Lion’s Head is part of the Table Mountain National Park and considered one of the most popular hiking destinations in Cape Town. 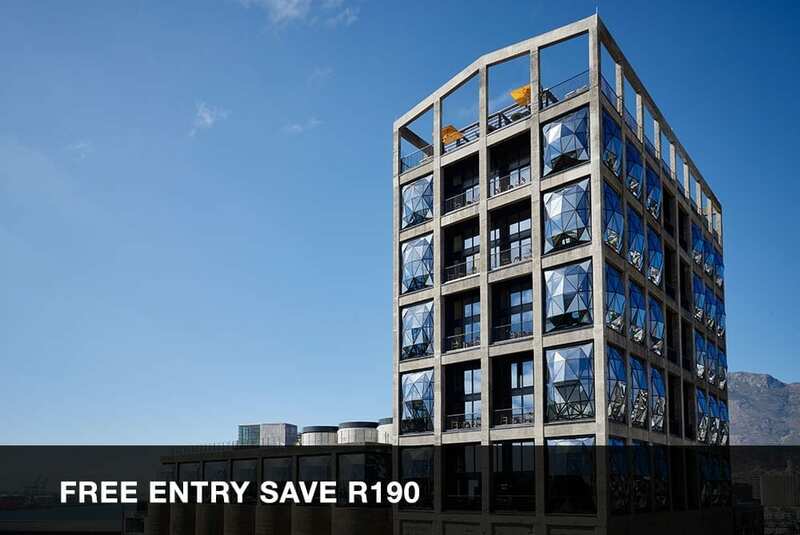 It offers stunning views of Camps Bay, the Atlantic ocean, Table Mountain, Twelve Apostles, Sea Point, Signal Hill and the City Bowl. The name was given to it by the Dutch in the 17th century, they called it Leeuwen Kop (Lion’s Head). Signal Hill used to be called Leeuwen Staart (Lion’s Tail) – the two together reminded the first Dutch settlers of a crouching lion. Lion’s Head peaks at 669 meters above sea level and it’s about an hour and a half of relatively easy hiking to the top. The hike starts at the car park on Signal Hill Road. Follow the trail which circles around the mountain to get to the top. The hike is easy up until the point just before you reach the summit. To reach the summit, get ready for quite a bit of challenging climbing. Luckily a series of chains and steel ladders will assist you with the ascend and descend. Along the way you will also see epic paragliding launch sites. 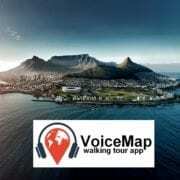 Hike up in the morning for a breathtaking sunrise or in the afternoon for a world famous Cape Town sunset. If you feel really brave, try the full moon hike. Witness the amazing view of the sun setting over the sea and the moon rising over the mountains. Lion’s Head is doubtlessly a big favourite of both locals and tourists who love a good hike and stunning views. Remember to bring your camera for an unforgettable photo! Watch one of our readers Sunrise Lionshead Video! Although Lion’s Head rates as a 2 on the hiking scale (out of 5), parts of the hike are very challenging. An experienced guide can create the ultimate hiking experience for your enjoyment. You can choose between the leisurely spiral route around the mountain, or the more adventurous option to the summit via the climbing chains installed. Depending on your fitness level, you can hike up and down the mountain in about two to three hours. In total the hike is a 5.5 km round trip. The hike is extremely popular and can take longer simply due to the amount of people ascending and descending the mountain. You can ask your guide to create a hike for you featuring two different hiking routes. The guide will make sure that you adhere to the Lion’s Head Mountain safety guidelines. If you have a fear of heights, rather stick to the Lion’s Head Spiral Route. A professional guide will provide you with a complete package that includes everything you need for a successful hike. This includes your transportation to the mountain; coffee, tea or hot chocolate; a snack and refresher drinks. Plus, your hiking guide will also take great photos of your Lion’s Head experience. You will have to ensure that you wear appropriate clothes for the hike. Beforehand you can ask your guide for clothing tips. Proper hiking gear is recommended, which includes layering up against the unpredictable Cape Town weather. The wind can become very chilly at the top, even on a hot summer’s day. You should wear closed shoes that is suitable for running or hiking. 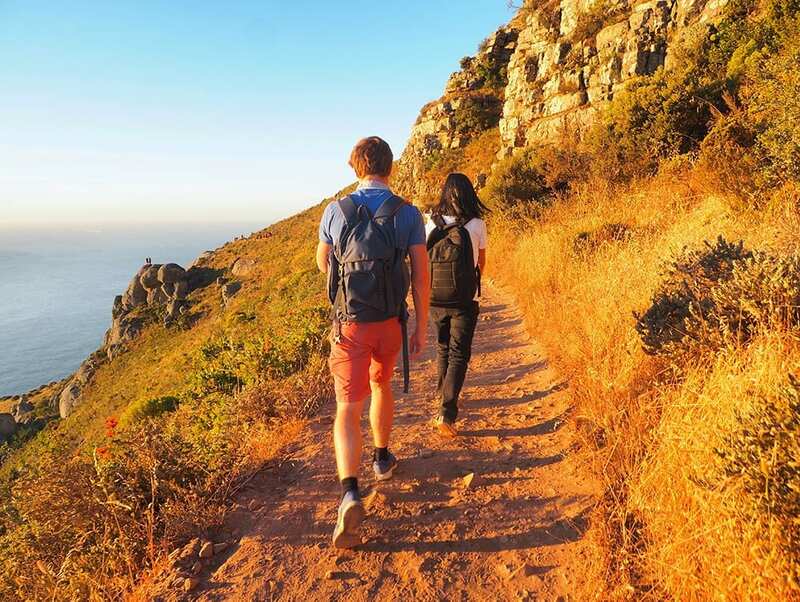 The Hike Lion’s Head guides have created an inclusive hiking package for R850. This includes the preparation for an unforgettable hike; transportation to the mountain; plus refreshments to make sure you stay hydrated and energized during your hike. And your guide will ensure that you travel up the mountain safely while informing you about interesting facts about the mountain. Visit hikelionshead.co.za now for more information or to book your hike.